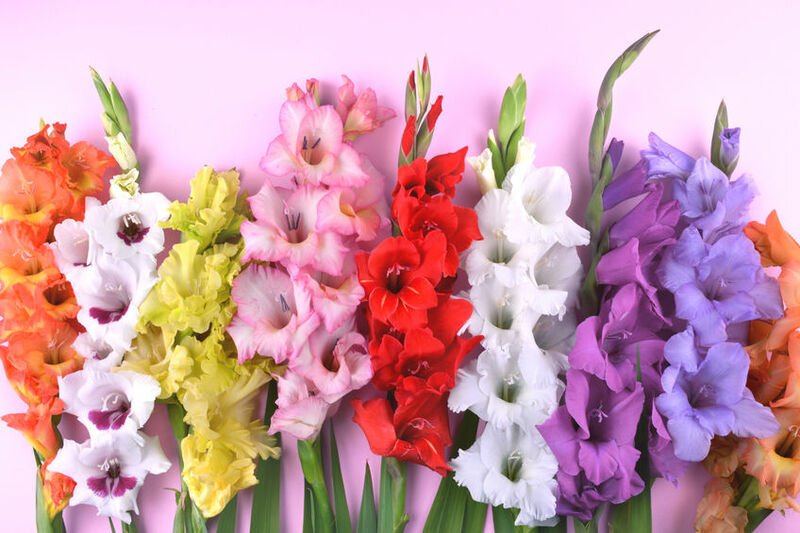 Gladioli are great for giving height and structure to your flower borders and make an outstanding cut flower. They are also an easy plant to grow. 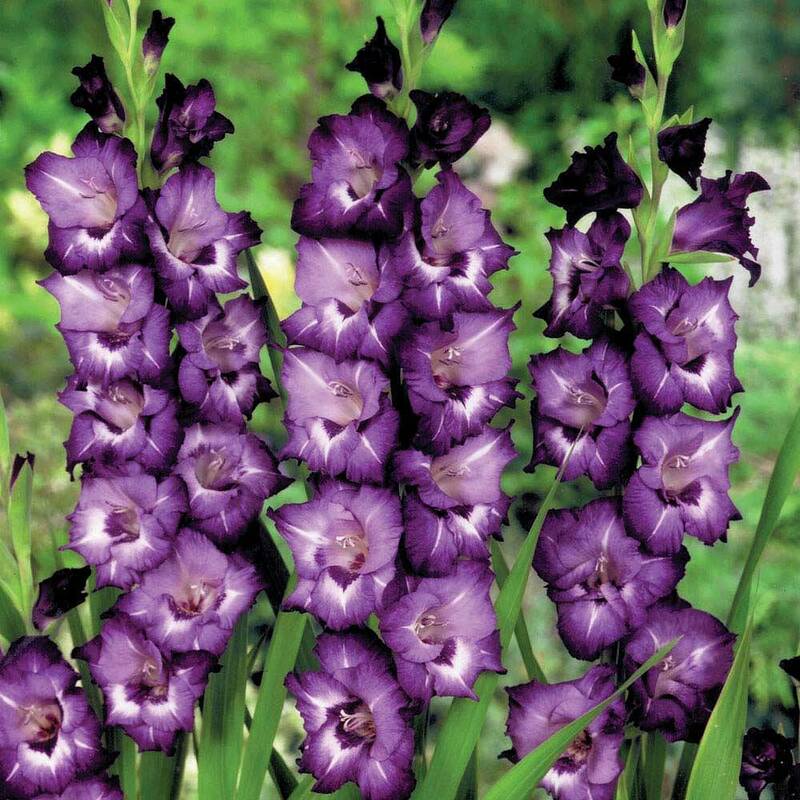 They needn’t be gaudy and garish if the correct varieties are chosen and the correct colour palette is put together. The corms are best planted March to May in well drained soil. The corms are available to order from January, so if you are not going to be planting them straight away, store them in a cool dry place. If you have heavy soil, grit can be added or the corms can be started off in pots for planting out later in clumps. Well rotted manure will increase the richness of the soil. A sunny spot is required. The corms should be planted 4-6in (10-15cm) deep to help avoid the need for staking. The normal spacing is 4in (10cm) apart, although if planting in containers, a closer spacing is acceptable. Water the plants well, especially when flowering. They will flower for around two weeks, around three months after planting. However a succession of blooms from summer to autumn can be achieved by staggering the planting of the corms in groups every fortnight. Plants should be fed with a high potash feed weekly or fortnightly, and this should continue after flowering to get goodness back into the corms as they die down, to improve performance in following years. Staking may be necessary, especially in exposed, windy areas. Insert canes, taking care not to pierce the corms, and lightly tie in with twine. Magnificent displays of cut flowers can be achieved indoors throughout the summer. Simply remove lower leaves and arrange in vases. In colder areas of the U.K the corms will need to be lifted in late October to avoid frosting, as they are only half hardy. Wait until the leaves turn yellow before you lift the corms. Snap off the stems and dry the corms for a fortnight. Dusting with yellow sulphur is advisable to prevent rotting. Older corms can be snapped off and discarded, only keeping the newer corms. Store them in a cool but frost free place such as a shed or garage until they are ready to be replanted again in spring. In warmer areas such as the South of England, you may wish to try leaving the corms in the ground with a heavy mulch on top of the soil. However, survival is not guaranteed in a harsh or very wet winter. 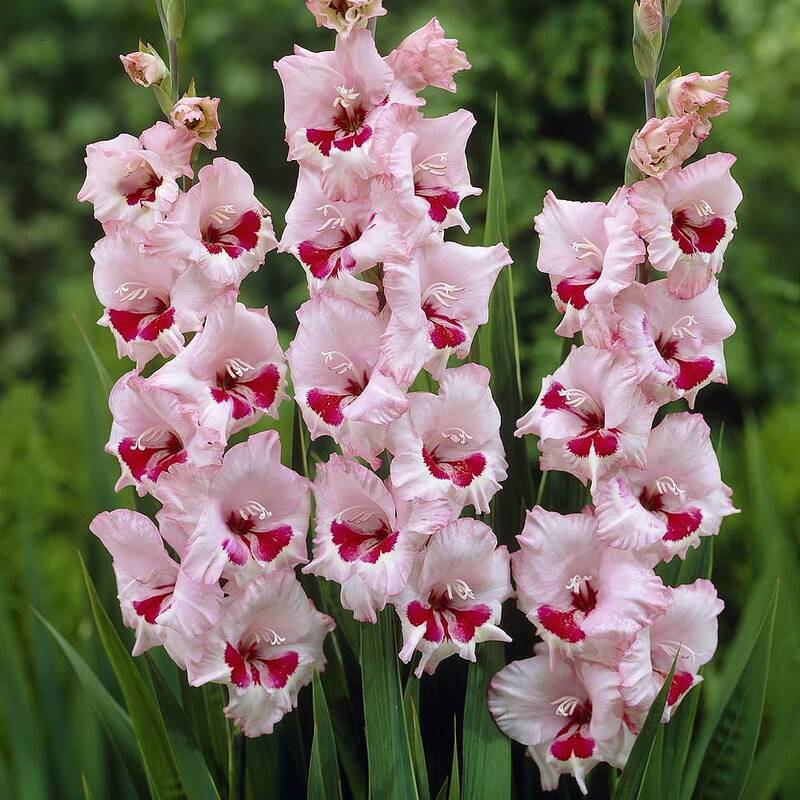 It is a shame that Gladioli go in and out of fashion, as few bulbs can provide such a resplendent display in our gardens. Below are a good selection of the best varieties and expertly chosen collections for you to buy.